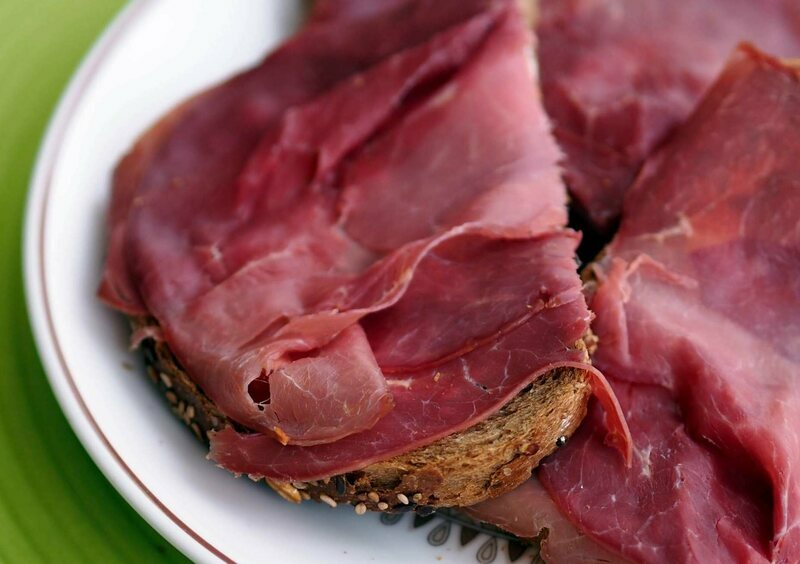 Maybe this isn't for the squeamish, but what is the most unusual thing you've eaten? Maybe it's not unusual for where you live, but let's see what strange things people have eaten. I have eaten some weird stuff, from horse (not so unusual in France and Belgium) to sea urchins (they sell in the market here in Nice, to insects (Cambodia), zebra (once in London), snake (China), guinea pig (Peru) and of course snails and frogs' legs (France, Vietnam, China). 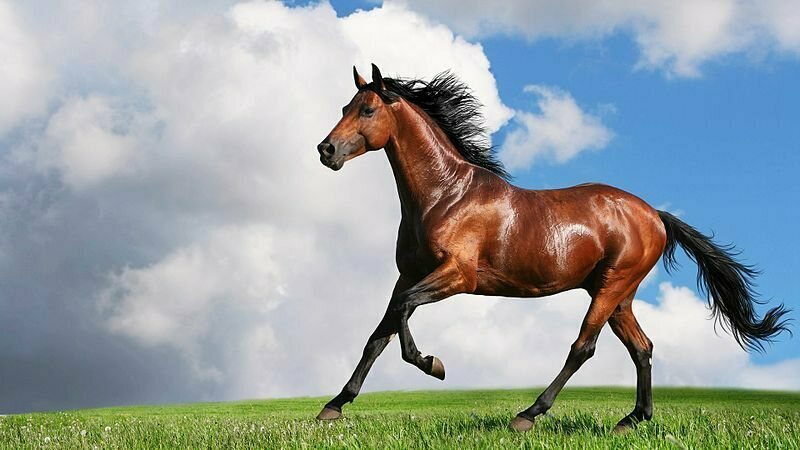 This article discusses why some people find eating horse a controversial matter. Does anyone have an exraordinary experience on food? I want you to share it! Because I don't really have myself. I think I have never eaten horse. Urchin is a popular ingrediant for sushi, so I like it. And I have eaten locusts as a child. It's a traditional food for some regions in my country. @Yellowtail I used to see horse meat more often when I was a kid visiting France, but now it is quite expensive and more difficult to find. Like venison, it has a stronger taste than beef. I have eaten ostrich which is not too difficult to find now in the UK. This meat is very healthy as it contains no cholesterol. I think you have to be careful how you cook it so it doesn't end up too dry. Similarly I have tried kangaroo, another 'healthy' meat. Tesco supermarket used to import it for a while, but I'm not sure if they do any more. I ate octopus when I was in Spain once. That's exotic to me. I didn't know what it was at the time, though, and I don't think I would eat it again! Octopus is very common in Mediterranean countries @GemmaRowlands. I needs to be cooked longer than squid, as I have discovered. I like it but it takes more preparation. I prefer squid. About year ago I ate snails. It is not commonly food in my country but it tasted me. I hope the snails didn't taste you @Wirginia! This would mean that they tried to eat you. I find snails very tasty with garlic butter. I'm not sure that they would so delicious without this. I think it was just a shock when I discovered what I was eating. I might try it again if I knew what it was, and if it was in a different dish. Cuttlefish is eaten a lot in Asia too, and it like octopus. They sell it in supermarkets here so I'm not sure it is exotic here in France or any of the Mediterranean countries @GemmaRowlands. I remember being warned when I was a student and shared a flat with a Cypriot girl. She told me I should always put the lid on a saucepan when frying chopped squid because the heat of the hot oil makes the pieces contract and they can leap out of the pan. @mheredge - Those snails was delicious, but I don`t know how they were prepeared. I had the most delicious octopus today @GemmaRowlands, with spaghetti made with ink of the octopus. Black spaghetti seems a bit exotic but it certainly tasted good. What we eat quite commonly in Japan could be exotic to people in Western countries. Horse meet is a popular menu in mountainous prefectures such as Nagano or Yamanashi. We call horse meat "Sakura", which means cherry blossoms, since the meat is usually more pink in color than beef or pork. People in those prefectures sometimes eat deer or wild boars. These are not so common though due to their small populations. We like to eat burdock root but I'm not sure how much popular it is around the world. We can put it in miso soup or add flavor with soy sauce and sugar. We also love to eat sea weeds. Do you eat sea weeds? Snails taste very good. It was delicate meat. When I will have opportunity I will taste it again. Raw eggs are also considered exotic food for me. I tried it several time but not really like them. I prefer my eggs be cooked. Half boiled eggs is the limit of my acceptance. What is burdock root @Yellowtail? I wonder if there are some trees that have edible roots. It wouldn't surprise me. After all we eat potatoes and these are a root crop aren't they? Turnips and swedes too. Whelks are like a sea snail and are good too. But I still think it's the sauce that makes them taste so good. On their own, I'm not convinced. It sounds good. I imagined it would taste more like sea snails though. burdock roots look more like tree roots (or even branches) than potetos and turnips. It's firm and very rich in fiber. I often chop it up and put it in miso soup. I'm not sure it's possible to find in France @Yellowtail. What else would you add to miso soup? I have used tofu. I have never eat an exotic food ,when I go to the restaurant I be attentif to not choose food that I don't know..
Food is always exotic to me when I see how Caravaggio painted it. I have a strange story about eating exotic!!! food. It is a true story. 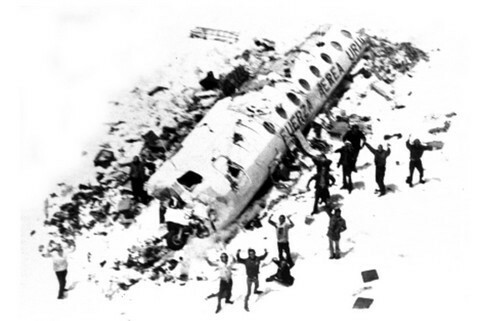 Nearly 45 years ago, on Friday, October 13th, 1972, a plane crashed in the Andes mountains with the players of a rugby team and their families. Sixteen of them would survive after 72 days on a mountainside and eating their deceased loved ones. When the crash came 12 passengers killed instantly, while six others in the first hours afterwards succumbed to their injuries. The remaining people could only hope they would be found quickly. That proved vain hope because the white plane was lying in a snow field and therefore not noticed from the air. The actual situation was that they had to see to survive with a minimum of food, consisting of a couple of chocolate bars and other snacks and a few bottles of wine. There were no plants or animals on the snowy mountainside. The group must take the hardest possible decision: eating the flesh of the bodies of their deceased comrades. All passengers were Roman Catholic, and some of them compared eating meat with the ritual of the Catholic Eucharist. That made it acceptable for them. Other survivors did not initially engage in cannibalism, but days later were still tacking too, because they recognized that this was the only way to survive. On December 22, 1972 half of the survivors were on the mountain by helicopter rescued and a day later the same helicopter took the rest of the survivors. This story is very moving and unbelievable. How people can eat people and own friends... It gives to thought that physiological needs are more important than feels. When I was child I often ate twisted raw egg yolk with sugar. It was delicious!!! @Paulette what a story . I'm the opposite @mouna. When I go to a restaurant, I'm very keen to try new dishes especially if they are local. Today I cooked white asparagus which I realised I probably have never prepared myself before. I am glad I checked on how to cook it as I didn't realise that it has quite a tough skin that needs to be removed before cooking it. I found a recipe for a very tasty garlic vinaigrette sauce that I used to dress it with, on a bed of salad leaves. Delicious! I don't know asparagus ,I think it doesn't exist here in Algeria. 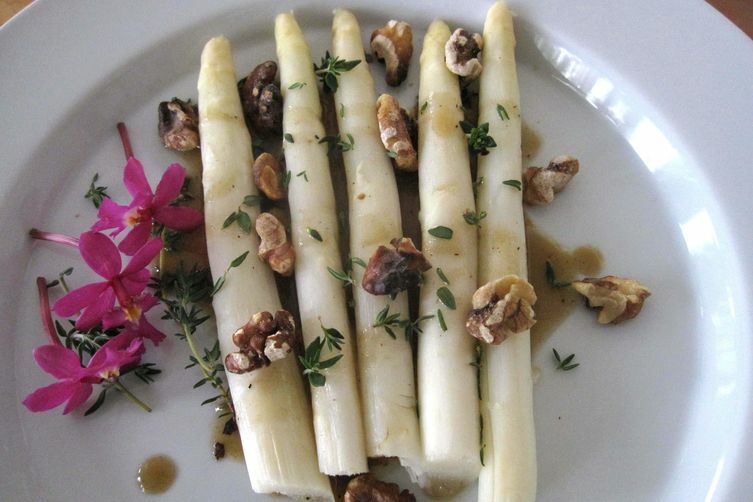 @nouna asparagus is a vegetable who we cultivate in Belgium and the Netherlands in the months of April, May and June. So today there were asparagus on the menu: "Asparagus Flemish style". Are you kidding!? @jackelliot I can not even imagine how snail ice cream tastes at all!